What Is the True Cost of Living in Portland, Oregon? Portland, Oregon is more than just microbreweries and food trucks. The City of Roses boasts a lively arts and culture scene. Employment options in Portland include established companies like Boeing, Nike and Intel, in addition to a wealth of start-ups and boutiques. Considering a move to Portland? Here’s what you should know about the local cost of living. The housing market in Portland, Oregon is nothing if not competitive. The high number of single-family homes makes for peaceful residential streets, but also constrains the supply of housing in the growing city. According to 2016 US Census data, Portland has the 26th lowest vacancy rate of any of the 75 largest metropolitan areas. It has the same vacancy rate as Louisville, Kentucky. This is a change from 2014 and 2015, when Portland experienced the lowest vacancy rate its had in years putting it in the top three. Low vacancy rate for apartments and homes puts pressure on Portland housing prices. According to Zillow, the median list price is $429,000 which is lower than it was last year. The home market has cooled a bit with the median price of homes sold at $393,000. From 2016 to 2017, home prices rose just 0.8%. To see how much a mortgage in Portland may cost, check out our Oregon mortgage calculator. If you’re lucky enough to find housing you love in the City of Roses, prepare to spend an average of $150 for a combination of electricity, heating, water and garbage, according to numbeo.com. Water and sewer costs are rising in Portland, though, so brace for increases if you make the move. Internet costs in Portland are on the high side, at $61 per month. In comparison, the national average is around $56. One of the cheapest cities for internet in the U.S. is El Paso, at $42. Walking, biking and taking public transportation are all popular ways of getting around Portland. 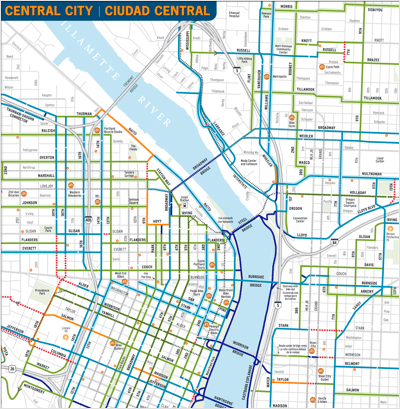 According to the website of the City of Portland, there are currently 350 miles of bike lanes around the city. Portland boasts the highest number of bicycle commuters of any major US city, at 7.2%. The average number of commuters who bike is usually just 0.5% in other areas of the U.S.
Don’t want to bike? A monthly pass on Portland’s Tri-Met public transportation will cost you $100. That’s on par with monthly transit pass prices in LA and Chicago, but New York sets you back by $121. The charmingly named transit pass for “Honored Citizens” offers monthly passes at a price of just $28 for seniors, Medicare members and people with disabilities. Youth passes for those age seven to 17 are the same price. Not sold on transit? Love to drive? Expect to pay around $2.87 per gallon of gas, according to gasbuddy.com. That’s about 15% above the current national average of $2.49. A three-course meal out for two in one of Portland’s mid-range restaurants will cost around $50, according to numbeo.com. Two people eating at an inexpensive spot can spend as little as $12. What about groceries? A dozen eggs in Portland should cost you $2.68, 7.6% higher than the national average price of $2.49. A pound of apples in Portland? $2.01. That’s only 3% more expensive than the national average price of $1.95. Part of the reason may be due to Oregon producing the second largest hop crop in the U.S. In 2016, Oregon produced 12,395,000 pounds valued at $65,075,000, according to the USDA National Hop Report. But does this abundance of hops and breweries translate into lower prices? Sometimes. According to numbeo.com, a 0.5 liter bottle of domestic beer bought at a market will cost $2.03. The national average is $2.09. Here’s the good news. 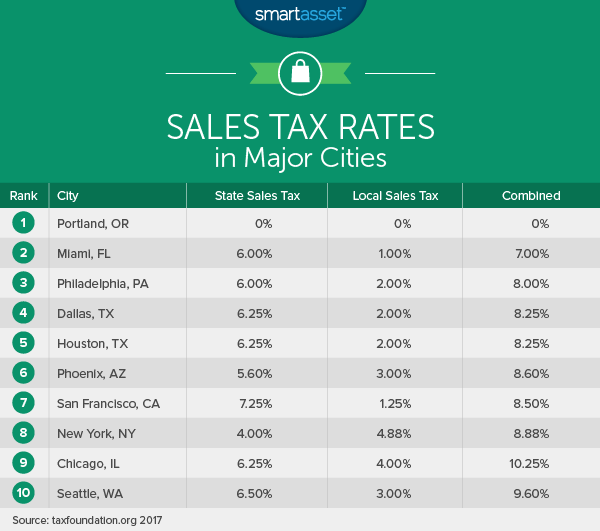 Portland has no sales tax. Compared to fellow Northwest city Seattle, with its 9.6% sales tax, Portland looks like a bargain. The bad news is that Oregon has steep state income taxes. The top marginal state income tax rate in Oregon, for single filers making $125,000+ is 9.9%. For the next-highest bracket, single filers making between $8,250 and $125,000, the rate is 9%. The lowest and second-lowest brackets have rates of 5% and 7% respectively. Capital gains in Oregon are taxed at your state income tax rate, so if your investments are performing well you’ll pay for it. If you don’t work for a company that offers employer-sponsored healthcare benefits, you’ll probably end up hopping on the health insurance marketplace in search of an on-exchange health plan. According to a healthpocket.com study of monthly premium costs in the largest cities of each of 39 states, Portland’s health insurance costs are relatively low. 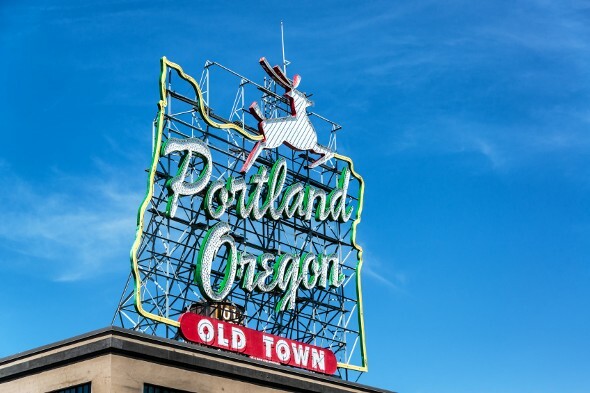 For example, the lowest-cost on-exchange premium (for a 40-year-old non-smoker) in Portland is around $260 dollars per month, with a deductible of $6,550. Shoppers in Portland have plenty of options for the artisanal and handmade, all of which can carry high prices. Even if you want to go the conventional route, you may have to pay a little more than the national average. A pair of shoes from Portland company Nike will cost you $82.08 in Portland, compared to the national average price of $77.40. A summer dress from a chain store like Zara or H&M carries a lower price in Portland than the national average. Expect to pay $31.98 in Portland, compared to a national average price of $35.63. If you’re thinking about moving to Portland, here’s what you need to do next. If you are moving to Portland, you probably want to see how your budget will be affected. If you want help with how it will impact your finances or are looking for someone to assistance to you meet your financial goals in general, a financial advisor might be useful. A matching tool like SmartAsset’s can help you find a person to work with to meet your needs. First you answer a series of questions about your situation and your goals. Then the program narrows down thousands of advisors to three financial advisors who meet your needs. You can read their profiles to learn more about them, interview them on the phone or in person and choose who to work with in the future. This allows you to find a good fit while having most of the hard work done for you. Find out how much more (or less!) expensive Portland is compared to your hometown by using our cost of living calculator. You can type in your zip code and salary and find out how much more it’ll cost for food, taxes and housing in the city of your choice. Looking to buy a home in Portland? Try the Oregon mortgage calculator to get an idea of what your monthly payment will be.